If you’ve been reading this blog lately, then you’re well aware that I’m spending the summer living in Bocas Del Toro, in Panama. However, my geographic location hasn’t stopped me from investing in real estate back in the USA. The only thing that it’s done is forced me to be more organized, and more efficient; if you follow my advice about the essential tools you need to run your real estate investing business while traveling, you should have no problems. However, earlier this month I did run into a problem. I needed to get a Grant Deed notarized, and I received some very bad and inaccurate information from Ticor Title. I’ve detailed the whole problem here in this blog post, but suffice it to say that Ticor, although they said they would, didn’t accept my notary here in Panama. Fortunately for you, this post is all about how to get documents notarized, that are acceptable to US standards, no matter where in the world you are! Let me repeat that: as long as you have an internet connection and webcam, you can now get your documents notarized online! A few weeks ago, I was lamenting to a friend and fellow real estate investor about the disastrous notary experience I had just encountered on one of my property flips. A couple of days later, he told me to check out SignNow.com, an online notary public service. I checked out their site, and then read a blog post that talked about the history of their company, and how online notaries became legal in the USA July 1st, 2012! I tested it out, and it worked beautifully! (In the sense of full disclosure, we did have a small hiccup with the notary’s webcam, but everything else worked out perfectly). It took me about 15 minutes to get a document notarized by a notary public in Virginia (the first state to approve online notarization). The cost was a very reasonable $14.95, which is only $4.95 more than I used to pay my notary in San Diego, next to my office. (Of course the notarization was free if I went into my escrow officer’s agent, but that wasn’t always possible or efficient). That’s it, it’s really that simple! I did want to write a quick side note, however, for some of our newer investors and readers. What we are doing (buying, fixing and flipping properties) is definitely a more advanced real estate investing strategy. In fact, it also requires that you have some private money, and your private lender will also have to get documents notarized when you sell the property. (We actually have private lenders in not only the USA, but also Canada and the UK. The online notary service has been a blessing for them as well). Speaking of private money, a friend of mine is running a special on his private money training resources, that can have you accessing private funds in as little 3 days! Grab this training here! And if you’re new, or a beginning investor, and this seems overwhelming, then don’t worry, because next week I’m going to have some killer strategies for you that you’re going to want to check out. In closing, I want to remind everyone the real reason of this post. Technology today makes it easier than ever to invest in real estate, no matter where in the world you are. I notarized a document from my hotel in Cartagena, Colombia, via a webcam, to a notary public in Virginia. I executed a grant deed so that I could sell a house that we had fixed up in San Diego,CA: isn’t technology great? Great post, Justin! Glad we could help you save so much time & money by streamlining everything. 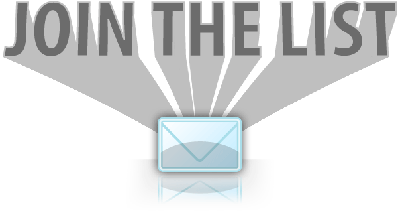 Join Our Newsletter, And Stay Up To Date With Real Information Other Investors Want To Know! 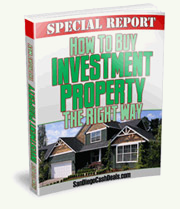 Add Yourself To Our Buyers List Today And As A Special Bonus, We'll Instantly Send You A Copy Of Our Free Report, Titled "How To Buy Investment Property The Right Way Report" that everyone's talking about. Can your prognostication skills get you FREE service? What's More Damaging To Your Credit: A Short Sale Or A Foreclosure? Where Should We Move To? Was 07-07-07 lucky for you? Aleta Somerfield on How’s Your April Going So Far? Stay Up To Date With Real Information Other Investors Want To Know!